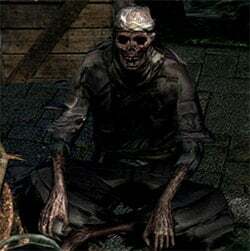 The Undead Merchant (male) is an NPC in Dark Souls and Dark Souls Remastered. He sells basic weapons and equipment. Please see Undead Merchant (female) for the other NPC. Located in the Undead Burg, near the first bonfire of the area, guarded by two spear soldiers and accessible after breaking some boxes that are hiding a set of stairs going down. He has a variety of items for sale as well as some important keys. He keeps telling you that you will go insane eventually, when you attack him he says "You've gone mad, have you?" Defeating him grants you a Key, Humanity, Orange Guidance Soapstone and Uchigatana, but it is ill-advised as his resources are useful. He wields the Uchigatana once you engage him. He sometimes mentions a "little Yulia". Yulia seems to be an imaginary pet sitting in the pot next to him, as he keeps stroking the air. He also mentions that Yulia loves him and she would bite your head off if you came close to her. 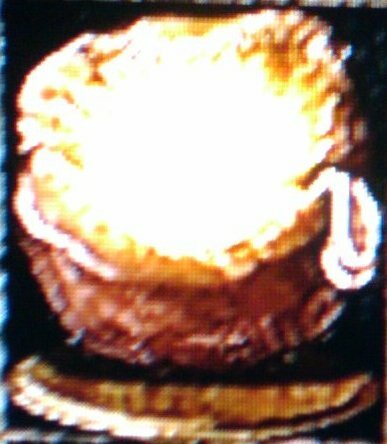 When fighting him, he calls Yulia to his aid (nothing happens though) and his last words when dying are "Why me... Little... Yulia..."
It is interesting to note that "Little Yulia" might be the Uchigatana he wields, and that it technically might be in the pot, just that it's not visible. It&apos;s Skeletor from he man! Funny story, I looked through his items when I found him and didn&apos;t buy anything. He told me to go fall off a cliff, so then I murdered him. Tbh the only reasons to kill him are for his sword (scrub lord Katana) and to get the Residence Key without having to spend the money. Tbh I recommend buying the Bottomless Box and then kill him if you are going for a Dex build. Most of what he sells is fairly useless in a normal run, and even then a lot of it is commonly dropped or easily obtained. Besides, put the crazy man out of his misery. He refers to a whole lotta nothing as "Little Yulia". If you don&apos;t want the sin of killing him but want his Uchigatana, you can lure the axe-wielding ambushing undead to the merchant and hide behind the merchant as the undead swings. The merchant won&apos;t fight back, and visiting Oswald confirms that you do not get the sin for this.